Developers of the train terminal say that it will lead to economic growth in The Cedars, one of the city's oldest neighborhoods. The Cedars neighborhood south of downtown Dallas is one of the city’s first and most-historic areas, one that has suddenly been thrust into a highly visible, prominent place in the city’s future. 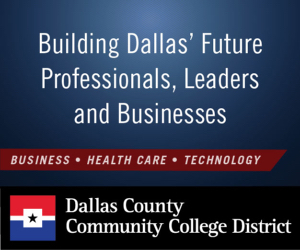 Monday’s announcement by Texas Central Partners that it chose The Cedars for a new terminal for its $15 billion bullet train project that will run between Dallas and Houston brings the enclave opportunities for economic growth. The Texas Bullet Train station will be built on a mostly vacant 6-acre site south of the Kay Bailey Hutchison Convention Center near the interchange of Interstates 35E and 30. It will be in a neighborhood that has seen significant change since it was formed in the 19th century as a home for stately mansions and cedar tree-lined streets. The terminal site is between South Riverfront Boulevard and Austin Street, Texas Central Partners said. Bringing the train terminal to The Cedars “will accelerate and enhance economic growth in the southern edge of downtown, including office, retail, entertainment, restaurants, hotels, apartments, and condominiums,” Texas Central said in a release. How big would the terminal’s impact be on The Cedars? The railroad project could create 10,000 jobs during each year of construction, Texas Central said, as well as roughly 1,500 full-time jobs once operations begin. The impact would be comparable to the recent transition of the Uptown area of Dallas, according to the Federal Railroad Administration’s Draft Environmental Impact Survey. Uptown has become one of the most-desirable areas in the city, drawing many businesses and residents to its walkable, live-work-play environment. Developers of the Texas Bullet Train said it will offer riders a quick, comfortable option for travel that will keep them out of traffic congestion. Passengers departing from Dallas will have a 90-minute ride via a 240-mile route to the greater Houston area. It will have a midway stop in the Brazos Valley, Texas Central Partners said. The Dallas terminal will be connected to multimodal transportation networks, including DART. Texas Central Partners said the development could help as a draw for Amazon’s second headquarters. Texas Central released renderings, but final plans for the terminal’s design are still in the works. With a history dating back to the 19th century, The Cedars section south of Downtown Dallas was the home of stately mansions and cedar tree-lined streets. It has been reshaped into a place where loft living mixes with the Dallas Police headquarters and an influx of new businesses. The 112-year-old Ambassador Hotel in Dallas’ The Cedars neighborhood is being adapted into micro-multifamily units. Also, you'll learn how Galderma has boosted its R&D investment and boosted its clinical trials. Here are some of the research projects underway in North Texas that could make lives better.